“From the moist dirt in South-Holland, a new kind of tuber emerged. The kind that walks on two legs and is fused with an instrument of choice. It’s The Royal Spuds! A half-baked punk mash with chunks, suffused with a traditional Irish shamrock ‘n roll-sauce. As befits a “real” spud, the possibilities are endless!” This self-penned biography for The Royal Spuds almost says it all. Since the release of, Start Your Engines (2012), The Royal Spuds have been on the fast track, gaining fans and momentum at a steady pace. Wanted Drunk and Alive (2013) climbed the charts fast and made it into the top rankings for ‘Best Celtic Punk/Rock Albums’, at CFP Radio. “It’s A Feckin’ Freakshow” (2015) was voted #10 People’s Choice and #18 Editor’s Choice for Best Album 2015 on Irish Pub Radio; and again in the top rankings at CFP Radio. Having made the long-list for Best LIVE Act NL/BE 2016 for Bastaard Fantasy Awards, they have been invited as the closing act for BFA LIVE show in Leiden, 3/March/2017. 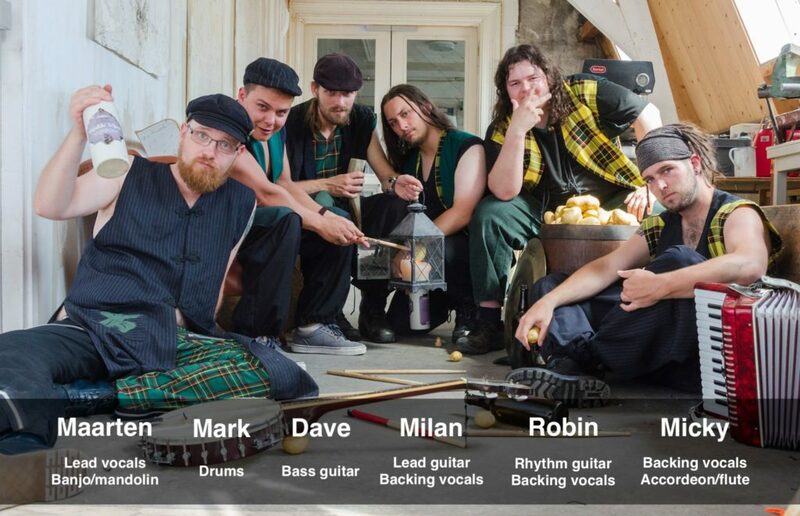 The Royal Spuds have appeared at dozens of festivals in the Netherlands and in 2015 a mini-tour of Ireland; 2017 they are ready to venture out on a tour of Europe. Remember, just like any salty spud, once you have had a taste of their powerful music, you will be left craving more. 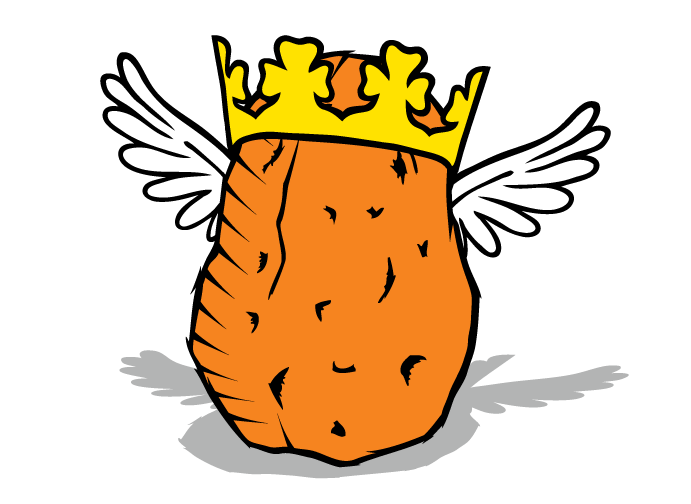 The Royal Spuds are available for gigs, festivals, and concerts in the Netherlands and/or abroad.